DADaPalooza: Super Excited About LegoLand! The first LegoLand in New York will open in April 2013 in Yonkers! The groundbreaking is today and will feature children unleashing a cascade of toy bricks onto Mayor Mike Spano and company officials at 11:30 a.m. at 1 Ridge Hill Blvd. in Yonkers. 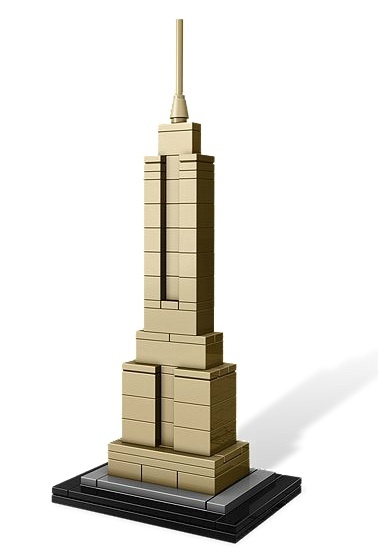 Legoland is going to feature over 3 million bricks of legos, play space, amazing giant sculptures, a Lego ride, and lots of other stuff, including a model of the Empire State Building made entirely of Legos! At the groundbreaking ceremony today company officials will also announce the start of open registration for “Brick Factor,” a talent search to be held Nov. 17-18 in which participants vie for a job as a Lego “master model builder” at Ridge Hill. (I am not going to apply-- I think I qualify as master model destroyer! Hmmm... wonder if there's a job in that? YONKERS — The state’s first Legoland Discovery Center is set to open around April at Westchester’s Ridge Hill, promising to bring new jobs and hundreds of thousands of visitors a year to the shopping center, its operator told The Journal News on Friday. An Oct. 17 groundbreaking ceremony for Legoland Discovery Center Westchester will feature children unleashing a cascade of toy bricks onto Mayor Mike Spano and company officials at 11:30 a.m. at 1 Ridge Hill Blvd. in Yonkers. The 33,000-square-foot indoor space will have more than 3 million Lego pieces, with play areas, party rooms and a pool of soft Lego bricks for children ages 3 to 10. It will offer classes taught by Lego “master model builders” and a “4-D cinema” that showers 3-D movie viewers with fake snow, rain and other elements. A “Techno Cycle” will lift users higher and higher into the air, the harder they pedal, and plans are in the works for a second amusement ride to open around spring 2014. 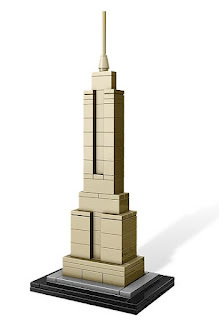 And a Lego “miniland” will be filled with models of iconic sites from around the region, including the Empire State Building and the Freedom Tower. The Yonkers site will be the first Legoland Discovery Center in New York state and the fifth in the nation. The metro areas of Atlanta, Chicago, Dallas-Fort Worth and Kansas City, as well as a half-dozen foreign cities, have the attraction. DiGioacchino said her company initially looked for locations in New York City but ultimately picked Ridge Hill because of its proximity to the city and a “strong residential market” in and around Westchester County. The Yonkers location also came recommended by officials with Forest City Ratner Companies, the shopping center’s developer and a landlord for the Madame Tussaud’s chain of wax museums owned by Merlin Entertainments. The Yonkers site will eventually employ between 100 and 150 full-time and seasonal workers in jobs such as sales, marketing, management, ride operators, floor hosts and master model builders, DiGioacchino said. Major recruitment efforts will likely begin in late November, early December. She expects between 300,000 and 350,000 visitors per year. Ticket prices have yet to be determined. At the Oct. 17 groundbreaking, company officials will also announce the start of open registration for “Brick Factor,” a talent search to be held Nov. 17-18 in which participants vie for a job as a Lego “master model builder” at Ridge Hill. Legoland Discovery Center Westchester joins a growing roster of retail, dining and entertainment tenants at the 1.3 million-square-foot Ridge Hill, a retail-residential-office complex situated between the state Thruway and the Sprain Brook Parkway. Lord & Taylor, the retail anchor, held its grand opening in April.